It was November 2016 when we started our venture with 1 sow and her 6 piglets, and 1 gilt almost a year old. 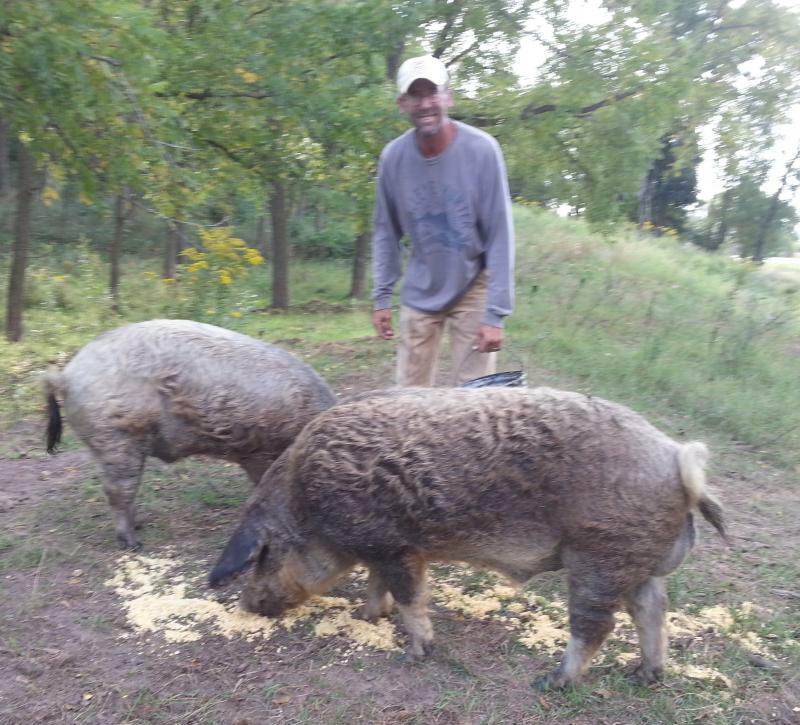 Our intentions at that time were to ease into the pasture raised pig business, having had minimal real life experience other than extensive research, multiple visits to other pasture based operations, and talking with anyone who would put up with our relentless question asking. Well here we are less than 14 months later and we currently have 450+ pigs, a farm that we purchased, and a wealth of experiences; some good and some not so good. But we both can honestly say WE LOVE OUR PIGS and the PIG BUSINESS! Merrilyn has ceased to amaze me with some of the challenges that a pig farm presents on a daily basis. Both of us were business executives for 20+ years, so this venture was a complete lifestyle makeover. I had minimal experience having worked on farms during my youth, but at least I had been exposed to some of the less favourable chores and situations that a farm presents. Merrilyn had not been privy to these experiences, however she has truly impressed the heck out me and takes on new challenges eagerly. We both believe that this is our true calling in life and can't imagine life without the daily interaction with our pigs and our customers. We raise and sell feeders, breeders, and fabulous pork and take great joy in sharing any knowledge we can with people who are interested. Having made a fair share of mistakes, if we can help anyone avoid them it makes those experiences of value. We welcome and regularly do farm tours, Merrilyn does a great job explaining the benefits of breeds that we raise along with understanding our customer's needs to help offer solutions to those needs. 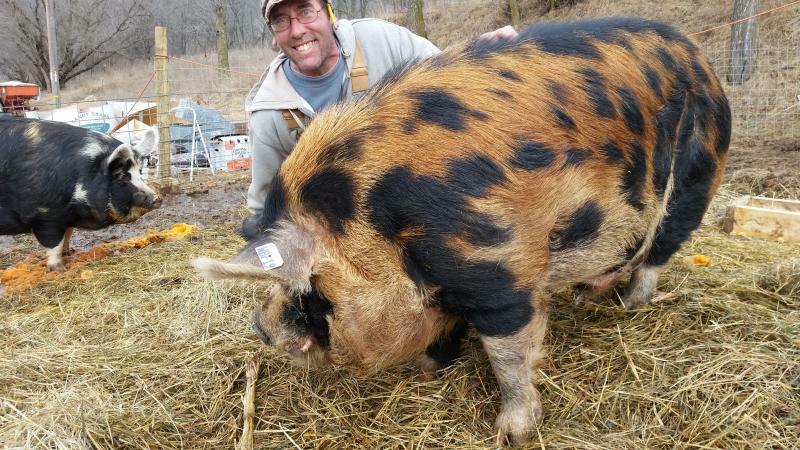 OUR VISION: Our desire for Driftless Pastures is to humanely and naturally raise our pigs on pasture to produce the finest pork available. We specialize in Heritage Breed conservation, specialty breeds and providing our customers the finest tasting pork, that brings them back over and over again. 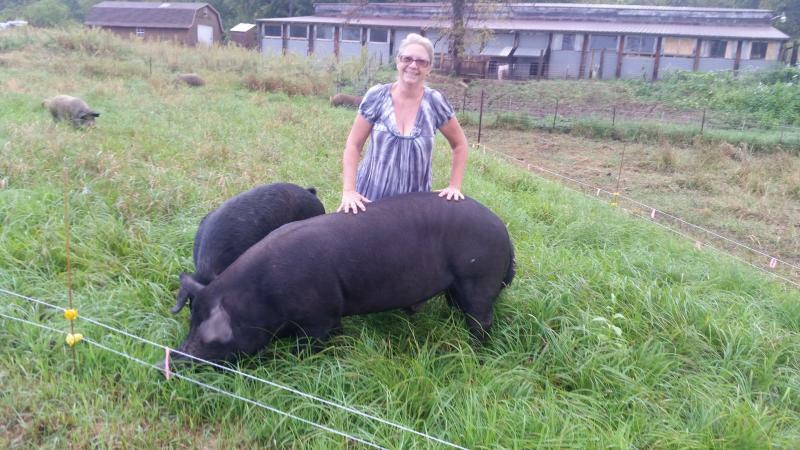 We use non-GMO grain, pesticide- free rotational pasturing and a LOT of time and love with each pig. Merrilyn in lush pasture with Lady & Midnight a couple of our great moms. 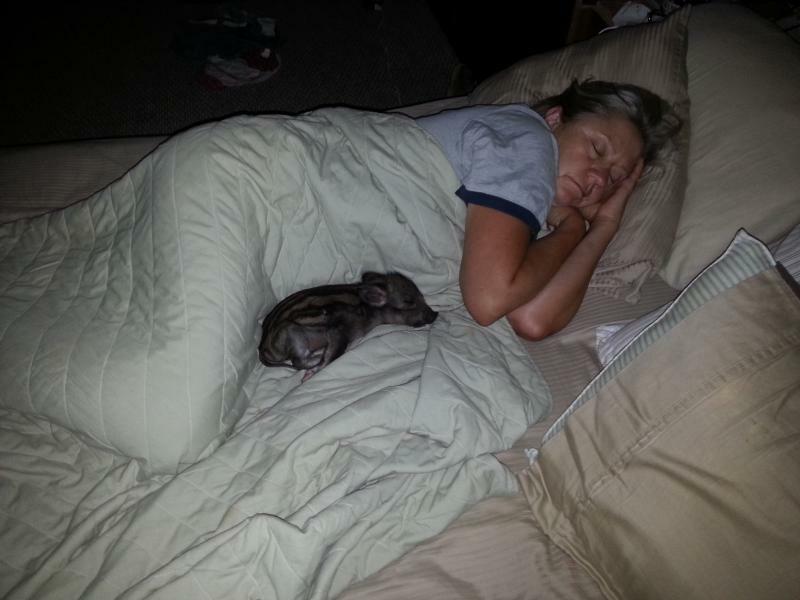 Merrilyn getting some R&R with a little one recovering from being stepped-on (we'll do anything for our pigs). 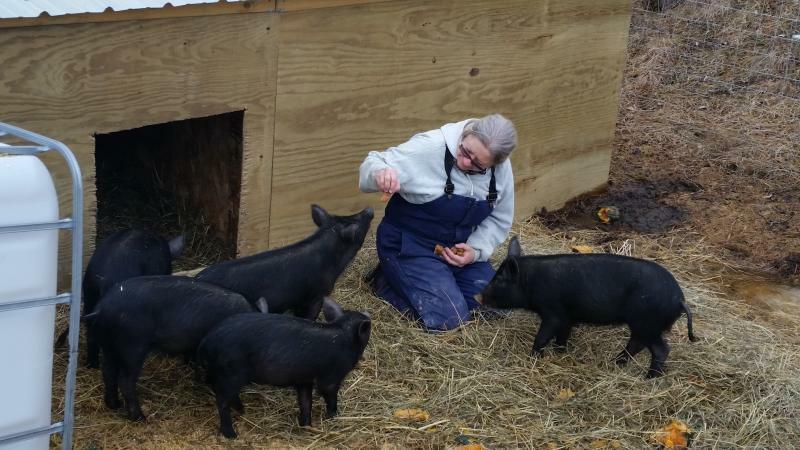 Working with Mulefoot gilts and training them with organic peanut butter treats, makes moving pigs around very easy. 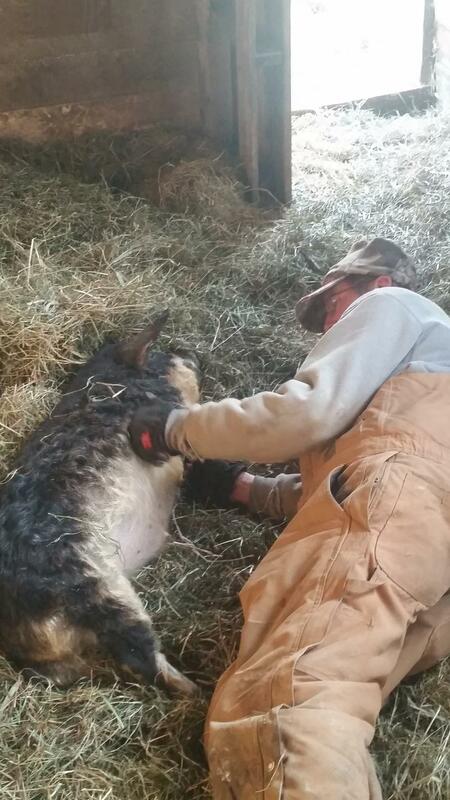 Ebenezer is 500# of "Gentle Giant" and throws great piglets. Demonstrating the proper belly rub technique.